As an educator, keeping track of all class materials and staying organized can be a challenge. That’s one reason why educators are turning to technology to make class life easier. 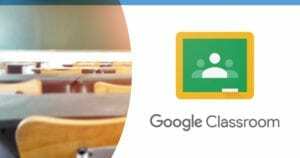 Google Classroom is a tool being used by more than 30 million educators and its gaining momentum for both students and teachers. There are several reasons why more classrooms are using Google Classroom. US schools and districts are adopting technology through the 1:1 laptop initiative. The initiative provides each student with a laptop for learning. Chromebooks are often chosen due to it’s affordability and intuitive platform. They are conveniently integrated with the full Google suite of apps which includes Classroom. By utilizing accessible technology, educators can provide grades or feedback online without ever having to deal with paperwork. In addition, all course work is saved so that it can be reviewed by students when they are home. Students can also complete projects and interact with teachers all through Google Classroom. This two-way collaboration tool makes it more convenient to teach and learn using technology. With the addition of video, it makes it even easier to engage students. Educators are using video to enhance coursework in Google Classroom. Many are creating videos as interactive learning tools within their class. Through the use of video platforms such as Screencast-O-Matic, educators are able to create video tutorials or lessons, provide feedback for students, use as student assignments, or capture lectures all with a click of the record button. Through the use of videos, educators are able to communicate effectively and keep students learning without ever having to waste time in class. In flipped or blended learning scenarios, videos are sent home and watched. The student is able to learn from home which makes them more engaged in class. Just like Google Classroom, Screencast-O-Matic’s video platform is an online technology that can be used anytime, anywhere. With an account, educators have access to their videos on multiple devices. They can easily jump from one computer to another and have access to video recordings. With Screencast-O-Matic’s Chromebook app, both educators and students have the ability to record their own videos and share them with each other. You can store videos directly on Google Drive. All uploaded files are saved in a Classroom folder. It makes videos easily accessible by both teachers and students. Forget about having to type out long assignments or grading papers! With video, educators can record and have the ability to assign projects all within a few minutes. When you create an assignment in Classroom, educators can attach a video file with instructions. To create the video, head to the screen recorder and click ‘record.’ All you need to do is upload and publish the video when you are done and provide the link to students. They are able to access it from anywhere. Classroom offers several ways for students to collaborate. Teachers can facilitate online discussions between students and create group projects within the tool. With video, students are able to drive conversations with each other and complete projects as they are assigned. Students can also collaborate on Google Docs and easily share their work with teachers. Classroom is an interactive and collaborative learning experience. Through the use of video, they are able to enrich the experience further. With Classroom, teachers have the ability to differentiate assignments, include videos and web pages into lessons, and create collaborative student group assignments. For students to learn, meaningful feedback is necessary. It’s a valuable part of all learning. So why not do it through video? Recent studies have shown that video mentorship and feedback engages students to connect with teachers at a higher level. It provides them with a connection they otherwise won’t get in a group setting. Video provides a one-to-one relationship without being face-to-face. Educators are able to grade assignments easily in Classroom. They can send personalized feedback to each student. The ability to create a comment is also available within the grading tool. In addition, the Classroom mobile app allows users to annotate work. Google Classroom can easily save all grades.